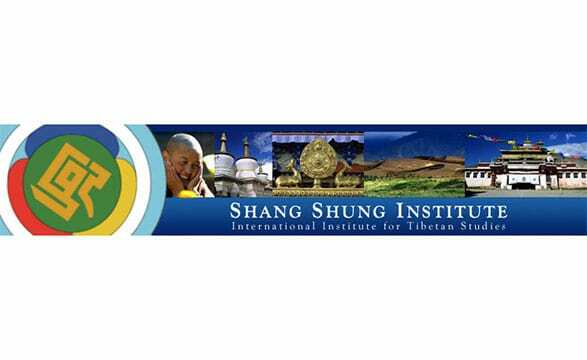 The International Shang Shung Institute was founded in 1989 by Chogyal Namkhai Norbu and inaugurated in 1990 at Merigar by His Holiness the Fourteenth Dalai Lama. It is a non-profit non-political cultural organisation and has the task of preserving Tibetan culture in its purity and entirety. The Institute takes its name from the mythical kingdom of Shang Shung found in Tibet more than 4,000 years ago and which the origin of the history and culture of Tibet dates back to. This remarkable Tibetan culture has survived pure and uncontaminated for thousands of years, transmitted from generation to generation, and is one of the treasures of our planet. Since today there is a real danger that this unique treasure may be lost, the Shang Shung Institute promotes knowledge of Tibetan culture in its various aspects – religious, philosophical, artistic, historical, social – in order to safeguard it and contribute to its preservation. One of main activities of the Institute is the work of translating original Tibetan texts into the foremost Western languages. The Institute organizes courses, study seminars, conferences and exhibitions; looks after the publication of numerous books and texts; possesses a modern centre of multimedia documentation; offers study grants to worthy young Tibetans. The central office of the Shang Shung Institute is at Merigar West , Italy with other offices in Austria and in the USA. Over the years the Institute has collaborated with several universities, foundations and museums and contributed to increasing people’s interest in Tibetan culture all over the world. The Shang Shung Editions publishing house, founded in Italy in 1983, sees to the printing of the teaching texts of Chogyal Namkhai Norbu and other Masters who are representative of Tibetan Buddhist spirituality and culture. In 2006 the publishing house merged with the Shang Shung Institute. Editorial activities include transcription, translation and publication of the oral teachings given by Chogyal Namkhai Norbu at the International Dzogchen Community centres or in other centres and the translation of original Tibetan texts by qualified translators. Over the years Shang Shung Editions has published more than 100 texts, most of them by Chogyal Namkhai Norbu. The publications are mainly intended for practitioners of the Dzogchen Community but there are also texts of general interest which are particularly useful for those approaching the Teaching and Tibetan culture. Shang Shung Editions, Shang Shung Institute and the International Publications Committee (IPC) of the Dzogchen Community check and make certain that translations of Chogyal Namkhai Norbu’s works into various languages and their publication conform to the required standards of quality and protect their copyright.